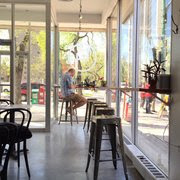 Not far from the Manitoba Legislature we found another great independent coffee shop called Fools & Horses. The shop is done up in that elegant austerity style we've seen in other coffee shops. 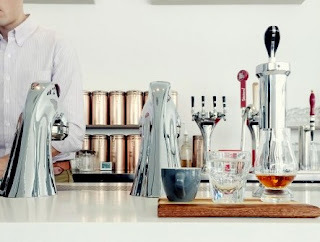 There's a full espresso bar that features Pilot Coffee as their anchor bean. Interesting sandwiches include brisket on toast. Well, why not brisket on toast? Service, like everywhere in Winnipeg, is friendly and efficient. In the afternoon Fools & Horses offers wine, spirits and beer, including brews from emerging and established Manitoba craft breweries. The whiskeys include the hard-to-get Northern Harvest Rye from Crown Royal; reason enough to spend an entire day. And, the coffee is worth lingering anytime.